Welcome home to 1210 Strawberry Cove located in The Mulberry Downs community in Nashville Tn. This home is move-in ready and has been renovated. This is a great opportunity for you folks that are looking for a great location for a home where all the work has been done. Located at the end of a quiet cul-de-sac, the home features 3 bedrooms, 2 full baths and has a huge deck in the rear of the home to enjoy with family and friends. The lot is level with plenty of trees and shad and the back yard is fenced in for privacy and allows a safe place for the family pets to have fun as well. The home has been pre-inspected as well and comes with a guarantee backed by InterNACHI, and is move in certified. The home features 1362 square feet of living area and updates and upgrades include new Granite counter tops, sink, new appliances, back splash, paint, new double vanities, all new carpets, new lighting throughout, a brand new 30 year roof, water heater and landscaping. The hardwood floors have been cleaned and are in great shape. The owners have made this home easy to buy with a fantastic price. 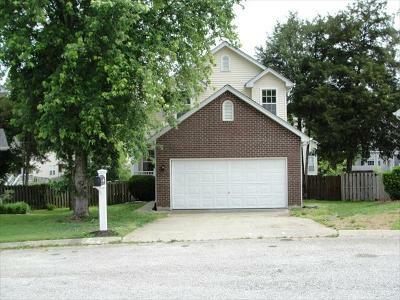 The home will not last long and has a great location with very quick access to I-65 allowing for quick commute times. Strawberry Cove is conveniently located near shopping, dining, schools and just about anywhere in the Nashville area. This truly is a great opportunity to get a home where all of the work has been done and all you have to do is move in. Now is the time to be in the market, whether you are selling or buying, the deals are here and for sellers, this is a great time to attract buyers. The rates for buyers are at historic lows and there is demand in our market. If you are a seller, you don't want to wait until interest rates go back up pushing more buyers out of the market. Please feel free to contact me (615) 538-7490 for a free report and evaluation for your property, neighborhood or project. Williamson County & Surrounding Nashville Area Real Estate that WE WILL SELL!! !